Please note we are flexible with time to allow for a fun and relaxed experience! 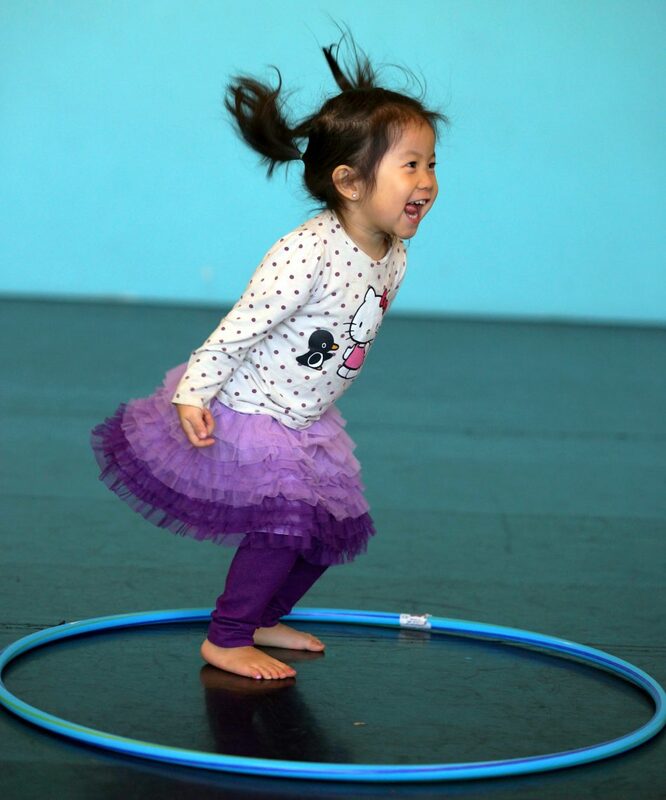 BAC parties will include many of the following activities: Warm-up, across the room combinations, crafts, games, hula-hoops, rhythmic ribbons, glitter, temporary tattoos and obstacle courses. All of the children will perform a fully choreographed special routine for the parents to view at the end of the party. 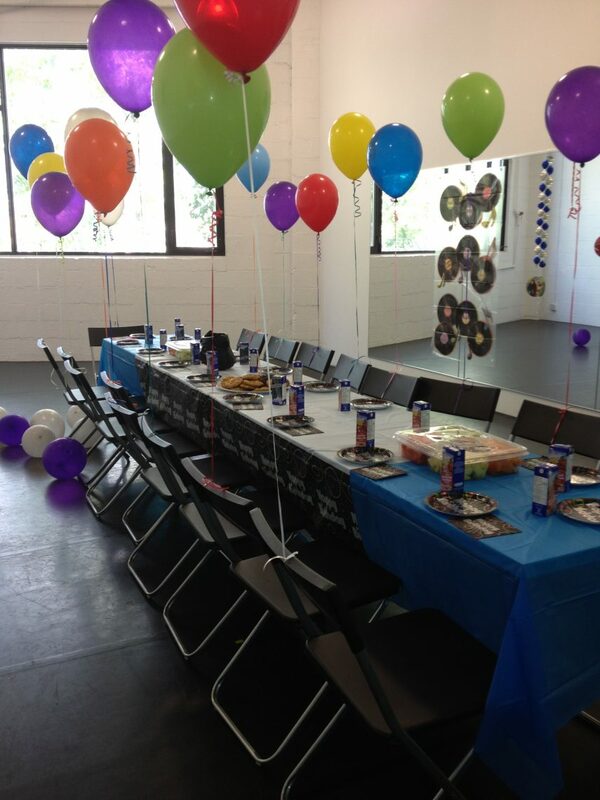 Broadway Arts Centre is offering exciting themed birthday parties at our amazing new location. 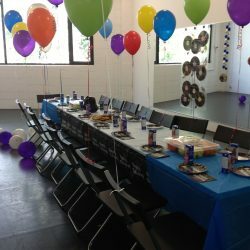 These parties include a variety of activities, games, and crafts to suit all your birthday party needs. We offer a variety of different packages and themes for you to choose from. Let’s have fun on your child’s birthday! Please note that this package does not include any party supplies, food, or beverages. 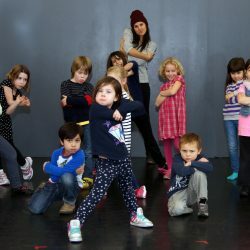 Email birthdays@broadwayartscentre.com or fill out our inquiry form or call us at 647.294.3211 to book your child’s birthday at the Broadway Arts Centre! We would love to help you plan a wonderful birthday party for your child! It’s always fun and exciting to organize the party around a theme. You can choose from any theme you and your child can think of! 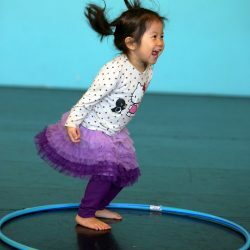 Some suggestions are: ballerina, princess, hula party, Glee, beach blast, hip-hop, Grease 50’s, hippie 60’s, disco 70’s, retro 80’s or any musical theatre production (Lion King, Grease, Hairspray, Wicked etc). Please make sure to tell all parents to return 15 minutes before the end of the birthday party to see the show. Children should be told to bring running shoes or dance shoes and to wear comfortable clothing. Please label the bag containing these items with your child’s name, date and time of the party and number of children attending.